Nashville is filled with top neighborhoods you can enjoy living in. However, when you want to get out of the actual city, but stay close enough to enjoy it, you want one of the best suburbs to call home. With so many great choices, it’s hard to create a list of the best suburbs in Nashville, Tennessee. Here’s a look at the top choices and you can decide which one is your favorite. Found just 10 miles from the downtown area, Brentwood offers a great place to call home. It’s known for large, beautiful homes and many country stars call this suburb home. In addition to the homes, Brentwood offers 860 acres of parks and greenways. The schools throughout this suburb are known as some of the best in the state and the Brentwood Public Library is known as one of the best Children’s Libraries in the country. With easy access to Nashville and plenty to enjoy, Brentwood is certainly one of the top suburbs in Nashville. A growing city with plenty to offer, Mount Juliet is a bit more affordable than some of the other suburbs on the list. You’ll find plenty of farmhouse and colonial style homes here, along with modern townhouses. Residents enjoy attending the Mount Juliet Farmer’s Market and the convenient shopping within the area. Mount Juliet is also home to the Old Hickory Lake and Long Hunter State Park. There’s plenty for the outdoor enthusiast to do here. Known as one of the top places to live in the entire country, Franklin is named after Benjamin Franklin. It’s a smaller town with some great history throughout. The Historic Downtown Main Street is one of the best in the state and there are plenty of things to do, places do dine and shopping options throughout. Franklin also offers The Historic Franklin Theatre with plenty of great movies and live music throughout the year. The theater opened in 1937 and has hosted some of the best in music throughout the years. 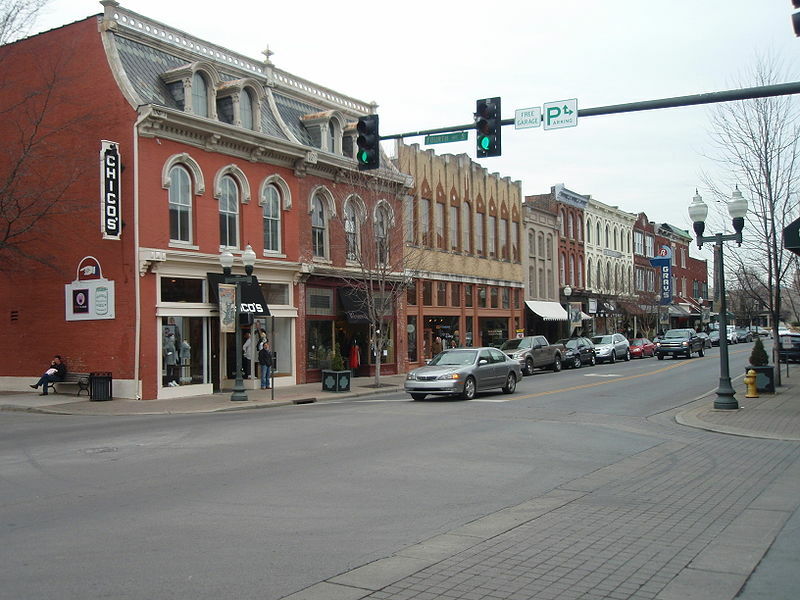 Found close to both Franklin and Brentwood, Nolensville offers a great choice for home buyers. It’s a bit more affordable and a bit of a newer town in Williamson County. Found just 30 minutes from Nashville, this is a great suburb to enjoy outside the city. You’ll find excellent antique shopping here, along with plenty of things to do. The suburb is close to Owl Creek Park and Nolensville Park, which both offer plenty of things to do outside. In addition, the Nolensville Public Library offers events throughout the year. All of these Nashville suburbs offer something a bit different with plenty of things to enjoy. Whether you want to be further away from the city or closer to it, you can find the right option on this list of the best suburbs in Nashville for your next home.